As the days start to shorten and the nights start to cool, it is a sad reality that summer is coming to it's end. To celebrate the season of growth and warmth, I feel it is only appropriate to keep the grill fired up as much as possible, to char and smoke my way through meal after meal. One of the best ways I can think of to enjoy the grill while paying homage to the great grill masters of the past is by recreating an ancient dish. 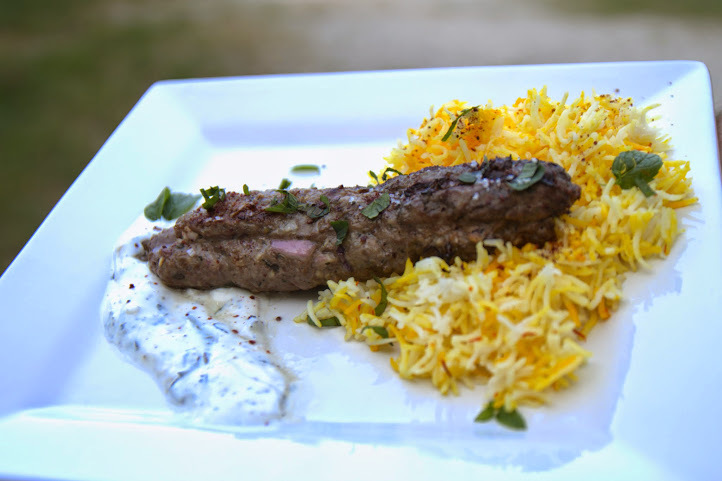 The lamb kabab. When kabab spread all around the world, specialty kababs were developed as well. Many different meats, spices, and techniques are used for kebab and there are even many different varieties in certain regions. 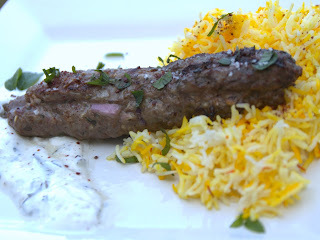 In Iran alone there are kebabs for different types of meat whether ground beef, chicken tenderloin, or in the case of the kebab I cooked ground lamb. If you're wondering where you've heard of Sumac before it may be that you're a fan and familiar with this African/Middle Eastern/South Asian spice. The spice is simply the dried and ground Sumac berry. Chances are it sounds familiar to many Westerners because it is in the same family as Poison Ivy, Poison Oak, and of course Poison Sumac. However, this sour spice is not poisonous, just a delicate enhancer of grilled meat. Thoroughly mix all ingredients by hand until the mixture becomes sticky. Let sit covered in a refrigerator for one hour. 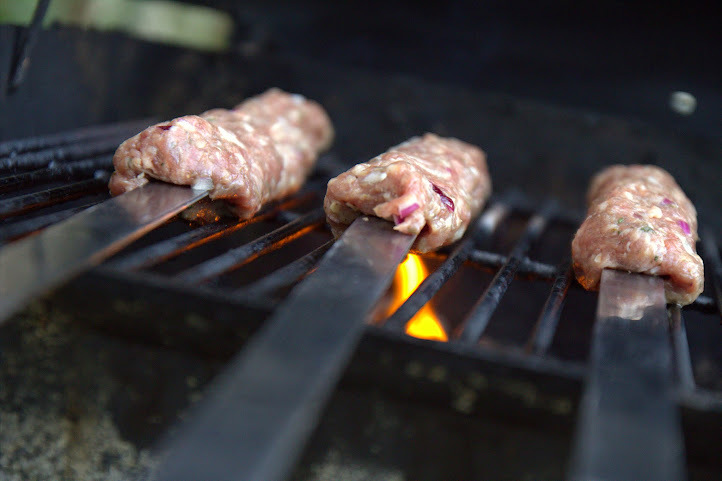 Fire up your grill, once ready cook kabab on skewers until the internal temperature reaches 165F or to desired doneness. Whisk all items together, then reserve in a refrigerator until kabab is completed. Marks, Gil. Encyclopedia of Jewish Food. N.p. : John Wiley and Sons, 2010. 296. Print. "Recipe: Iranian Chelo Kebab." The Los Angeles Times. LA Times, n.d. Web. 4 Sept. 2014. <http://www.latimes.com/food/la-fo-iranian-kebab-story.html>. Rice is to be fried ahead of cooking often with ghee as well as clarified butter after which baked with cooking normal water. The actual frying procedure provided the rice any nutty flavour. Picture of health?